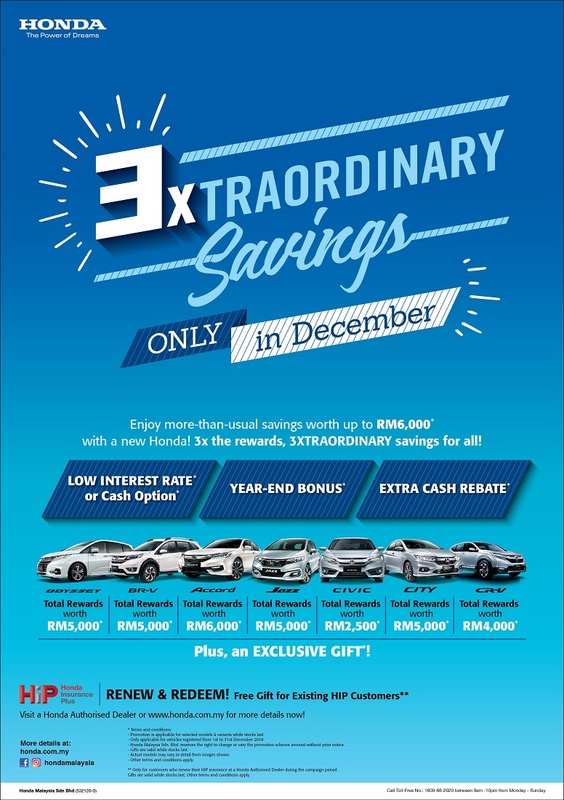 Petaling Jaya, 4 December 2018 – Honda Malaysia has started the 3XTRAORDINARY Savings campaign for the month of December that offers great savings. Customers buying a brand new Honda vehicle can enjoy low interest rate or cash option, year-end bonus and extra cash rebate as well as an exclusive gift during this month. 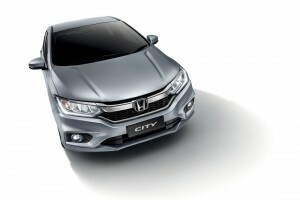 The rebates apply to various Honda models such as Accord, BR-V, City, Civic, Civic Type R, CR-V, Jazz and Odyssey, and range from RM2,500 to RM50,000. To enjoy the great rebates, the vehicle must be purchased from any of the 97 authorised Honda dealers in Malaysia and registered between 1 December and 31 December 2018 (terms and conditions apply). 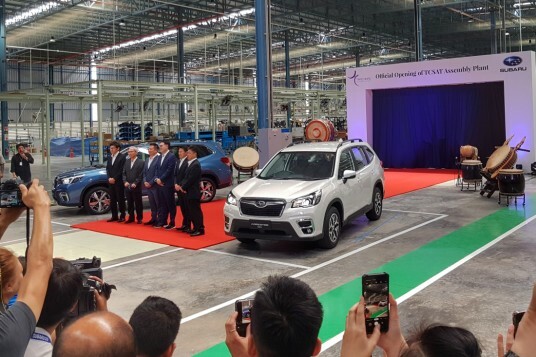 The 3XTRAORDINARY Savings campaign celebrates Malaysian customers’ trust in the Honda brand for which it has remained the top car brand in the non-national segment, and second place in overall Total Industry Volume (TIV). The Honda City is the brand’s bestseller with over 30,200 units sold this year, contributing about 32% of the company’s total sales thus far. It is also the most popular B-segment sedan in the market as of November 2018. 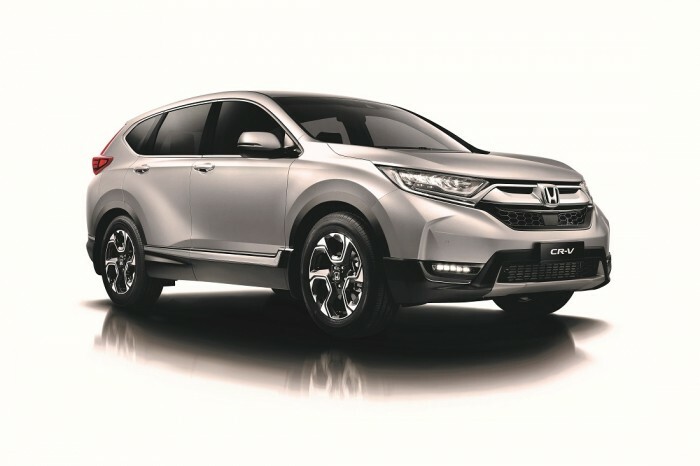 In addition, Honda Malaysia is also rewarding existing Honda Insurance Plus (HIP) customers with a gift when they renew their HIP insurance during this campaign period (1 – 31 December 2018). This gift is only applicable for Honda owners who renew their HIP insurance at a Honda Authorised Dealer during the campaign period. The gifts are valid while stocks last (terms and conditions apply). 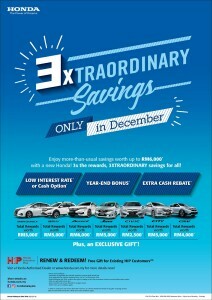 To find out more information on the 3XTRAORDINARY Savings campaign or to book a test drive, customers can visit any of the 97 authorised Honda dealerships in Malaysia or call Honda’s Toll Free number at 1-800-88-2020, or log onto www.honda.com.my for more information.